Ah Sundays. A day where we enjoy absolutely nothing more than putting our feet up and recharging our batteries after a stressful week at work. But when in Barcelona, enjoy Barcelona. Spend your Sunday brunching in the city’s quirkiest cafés, immerse yourself in its culture or simply take a stroll around the mountains with some awesome views. So put on your explorer hat and head over to our 10 top picks for what to do this Sunday in Barcelona! Brunch and Barcelona go hand in hand as this tasty breakfast-dinner combo is totally in fashion in the Catalan capital. 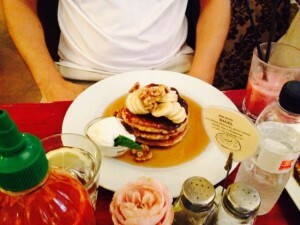 Enjoy a lazy Sunday morning in Barcelona at one of the many brunch places that the city has to offer including Milk Bar, Cometa, Brunch & Cake, Federal Café and Cosmo. When visiting Barcelona you want to squeeze as much into your day possible. Walking from place to place is a good way to see the sights but renting a bike is even better, especially on a Sunday when Barcelona has less people on the streets! Exploring the city’s hotspots by bicycle is a fun activity for all the family to enjoy. You can either participate in organised excursions with bike tour companies located throughout the Barcelona or rent a bike at an affordable price allowing you to enjoy the city at your own leisurely pace. 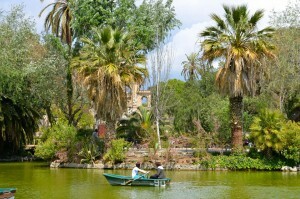 Make a day of it at Ciutadella Park and begin your Sunday by strolling through the gardens. Surrounding the lake there are plenty of picturesque spots to enjoy a picnic in the Barcelona sunshine. Continue your Sunday with a fun-filled afternoon by renting rowing boats and having a splash along the lake. The park is also home to the fabulous Barcelona Zoo and with over 400 different species including hippos, elephants, Komodo Dragons and dolphins among many other animals – it’s well worth a visit, especially for entertaining the kids. A must-do for a Sunday in Barcelona is Park Güell. Witness Gaudí’s remarkable collaboration of architecture and nature and enjoy the breathtaking views of the city. After the steep climb to get to Park Güell, grab yourself an ice cream or a chilled drink to wander around with once you have arrived. 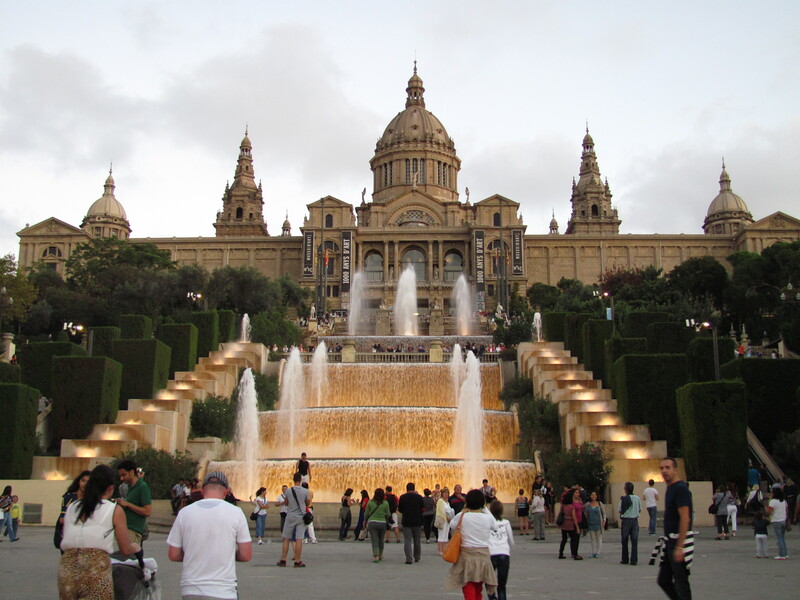 Barcelona is packed with fascinating museums covering a plethora of interests including art, history, architecture, sports and science. 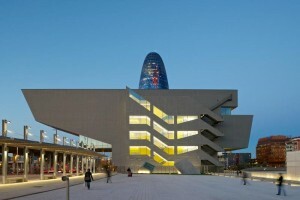 The CCCB, Picasso Museum and the MNAC are among those that offer free entry to the public on the first Sunday of every month. If you’re not fortunate enough to be in the city at this time, fear not, as many of Barcelona’s favourites open their doors for free all year round. These include the Palau Robert, Museu Geològic del Seminari, Arts Santa Mònica, Palau de la Virreina and the Arxiu Fotogràfic. 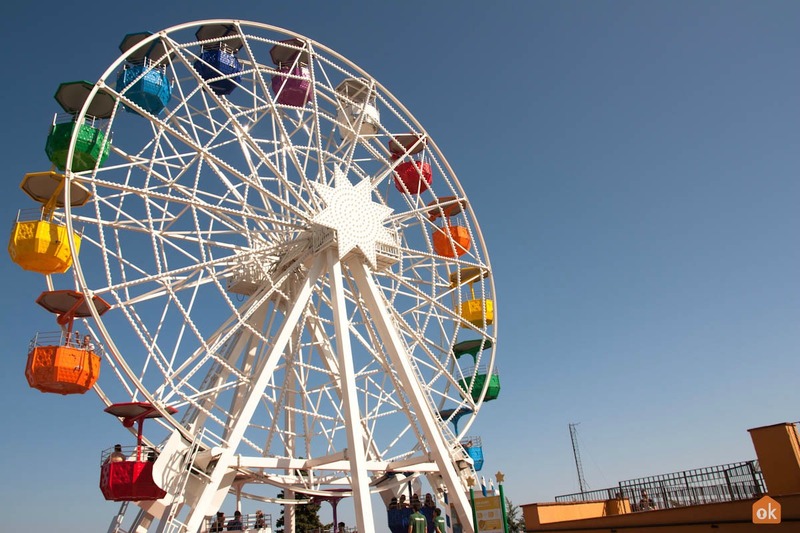 The trip to Tibidabo is worth it alone to enjoy the magnificent views of the city, sea and surrounding mountains which on a clear day extend all the way to Montserrat. Approximately 520 metres high, it is the highest mountain in the Collserola range and with plenty to do. There is the popular amusement park, one of the oldest in Europe, which has rides for all the family to enjoy, and the Museu d’Automates del Tibidabo, a vending machine museum situated within the grounds. Closeby, there is also the beautiful Sagrat Cor church. If you’re not too tired, and want to chill out on a lovely Barcelona Sunday evening, go to the Torre de Conserolla, the ultimate viewing platform and wait until sunset to enjoy truly breathtaking views. 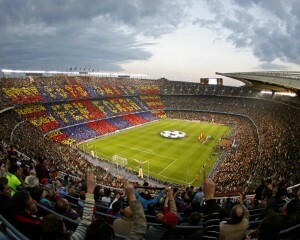 Barcelona is one of the most supported teams in the world and the second most valuable worldwide. If a game happens to be scheduled on a Sunday, make sure to attend this unmissable event, football fan or not. Also, the Camp Nou Experience is well worth a visit. Explore the largest stadium in Europe and retrace the footsteps of FC Barcelona’s legendary players that have made history. You can also visit the museum to learn the ins and outs of FC Barcelona which truly puts your football knowledge to the test! Barcelona’s harbour is not only home to a multitude of yachts but also the famous L’Aquàrium de Barcelona, a great alternative to the usual sightseeing! Delve into the depths of the ocean and discover the underwater habitats from around the world with more than 11,000 water creatures and 450 different species. 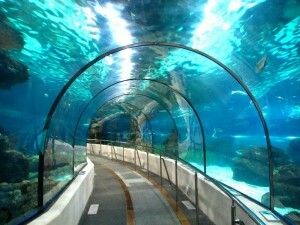 From penguins to seahorses, sharks to clown fish, you won’t be short of things to do at the Barcelona Aquarium. Whilst in the area, make sure to visit the Royal Shipyard which offers free entry after 3pm on Sundays and is also conveniently located close by to the maritime museum. The magic fountain is incredibly popular for a reason. This light and water spectacle accompanied by music is a must see and most of all is free! You are welcome to watch the show as many times as you like but double check times beforehand as they vary throughout the year. The MNAC (Musuem Nacional d’Art Catalunya) features 1000 years of art with a large selection of Roman, Gothic, Baroque and Renaissance pieces. Admire the fantastic views of the city from the Montjuïc Castle and from the cable cars that will take you there. Wander around the botanical gardens. Top tip: Every Sunday after 3pm there is free entry and on the first Sunday of the month you can find all day free entry. Sunday in Barcelona how you should be: relaxing. 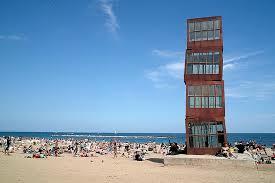 So find a quiet spot on the beach and lose yourself in your favourite book in the warm Barcelona sunshine. If sunbathing isn’t quite your thing, there are plenty of activities, bars, cafés and restaurants along the beach to keep yourself occupied. It’s Sunday in Barcelona. That can only mean one thing: its time to spend that hard earned money of yours. Whilst the city is home to several shopping malls, many of them tend to be closed on Sundays. Not Maremagnum though! 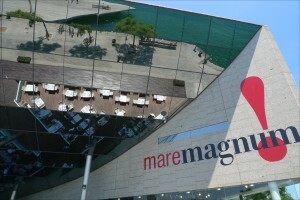 Head to Port Vell for some retail therapy where you will find a wide range of brands available, ideal if you’re wanting to revamp your wardrobe! If you need a break from shopping, chill out and grab a bite to eat in one of the many restaurants and cafés with stunning sea views. 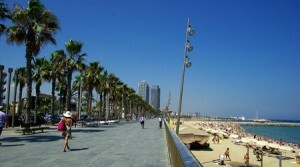 This entry was posted in Activities, Home, Places, Things to do, Tourist Guide and tagged barcelona activities, barcelona attractions, barcelona beaches, barcelona tourist guide, things to do in barcelona, travelling around barcelona, visiting barcelona. Bookmark the permalink.